For this month’s work cake, my husband asked me to do something geared towards one of his co-workers who was leaving the university that week. 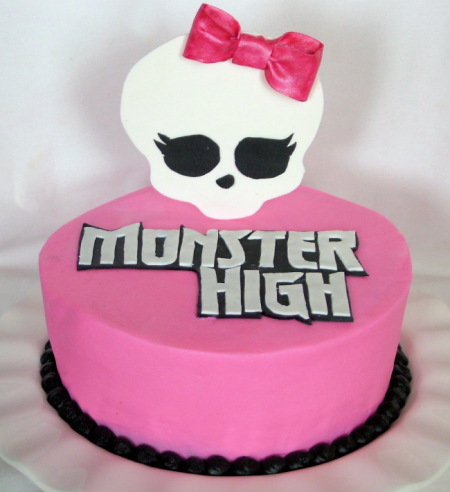 So that was the inspiration for this cake! 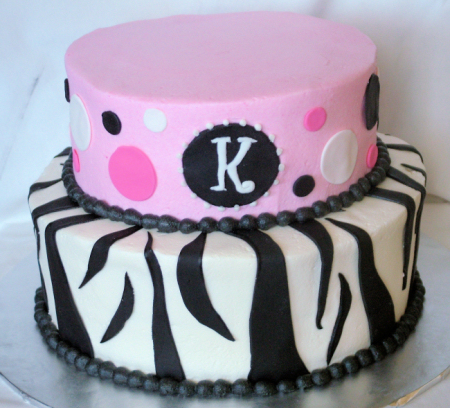 I love doing zebra print – its fast and fun. 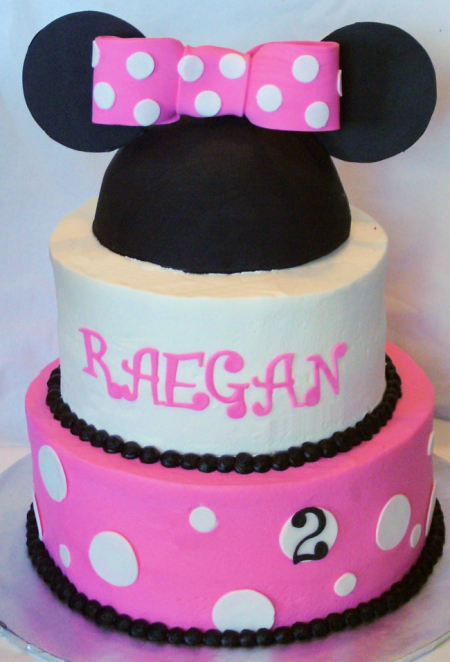 This is an 8″ and 10″ with buttercream and fondant accents. 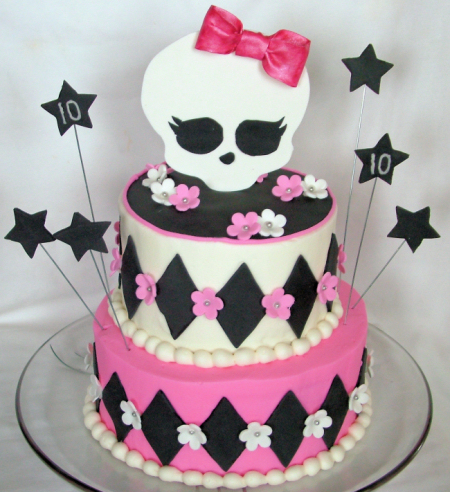 Earlier this month my youngest turned 7. We were out of town on vacation at the time so when we got back, we celebrated with family. This year we combined her party with my niece’s party. My niece requested something to do with Hannah Montana. I ran this by my daughter and she was all good with it. I decided to stick to the basic rock star stuff so here’s what I came up with. 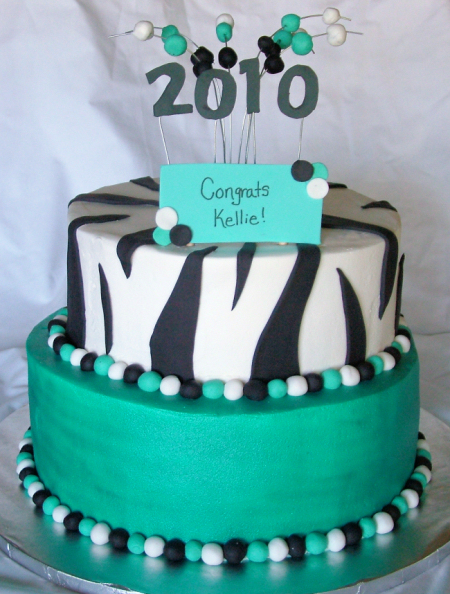 This is a 10″ cake, iced in buttercream, with fondant “zebra stripes”. 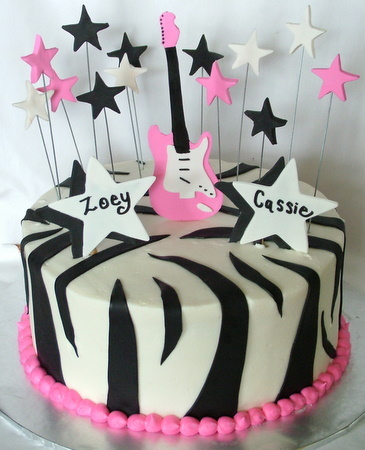 The guitar and stars are made from gumpaste. 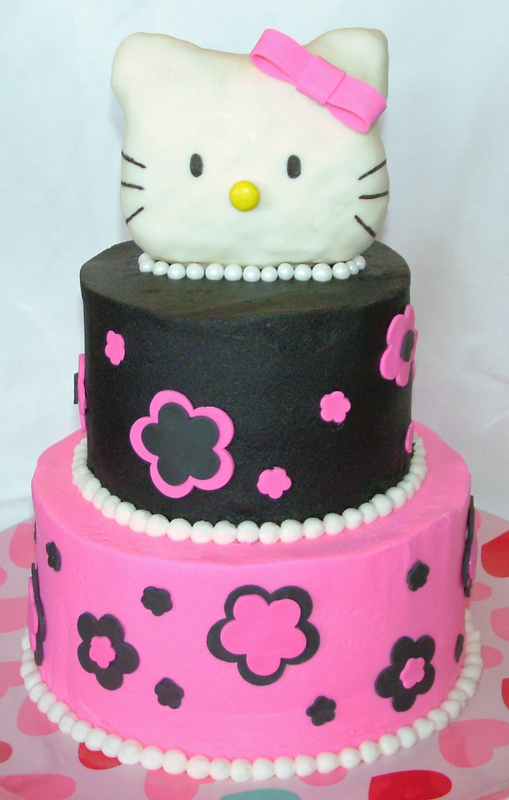 And now for more Hello Kitty! This creation was to finish off our birthday weekend celebrating with family. 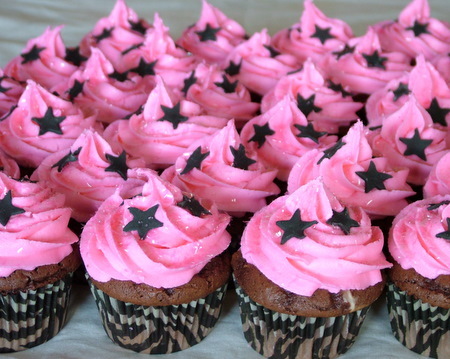 First I have to make a comment – don’t mind the cake plate! We got it cheap from a local store at the end of the Valentine’s day stuff. 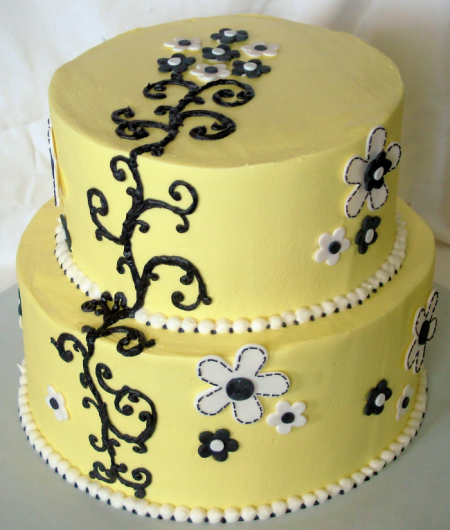 The original cake design we had planned to do would have matched it a little better. But then Emily and I ended up going another direction and I decided to just use it anyway as it made a great serving platter. 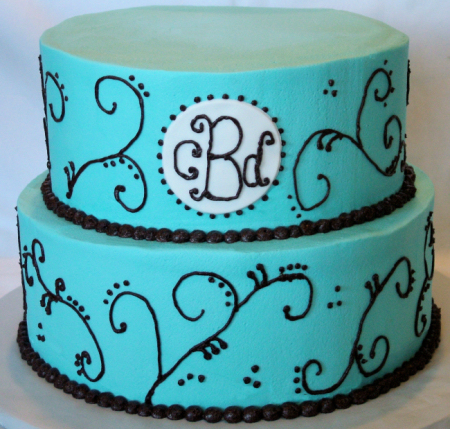 Anyway – that said… Emily laid out the design for this one. After seeing a few pics online, she knew she wanted a 3D head on top. The head is made of rice krispie treats. I’m making up a basic tutorial on making rice krispies for this purpose and how to create a shape with them to use like this. This kitty is covered in white chocolate melts. She has an M&M nose, gumpaste bow and I used a food marker for the eyes and whiskers.